It’s October already! Time is flying fast as we enter the last four weeks of the first quarter, which ends on October 26! Finally, it’s important to study right, not just to study. This Test Taking Skills guide will help you. With the test on Monday, we’ll have lots of time left in the week to work on Unit 2: Motion in Two Dimensions. Here’s how to begin. Watch and take notes on the following podcasts by Tuesday. This week in astronomy: We will be doing a lot of activities to support our study of The Ecliptic Motion of the Sun, unit 2. We’ll do most of these activities in class. They include Equinoxes and Solstices around the World, Earth’s Tilt and the Equinoxes and Solstices, and a lab about Solar Radiation. (These documents are not available to you online. You’ll receive copies in class and on our student server here at school.) This is a very quick unit, so expect a test sometime next week. Please be sure to check out the Astronomy Unit 2 – Readings to help support your learning. The day before the test, the Astronomy Unit 2 – Homework Questions will be due. The Astronomy Unit 2 – Outdoor Lab won’t be due for a few weeks because it requires you to take observations over an extended period of time. We’ll go over the instructions in class, but it should be on your radar for now. Cool Science of the Week: Check out the fun page from the xkcd crew! 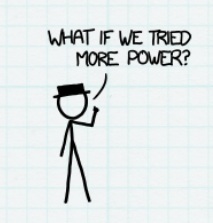 They answer a new “What if?” question about physics every Tuesday. This week’s installment asks if we could make the moon brighter by aiming laser pointers at it! A special “thank you!’ goes out to Beth Cruz for sending this in! Cool science of the week: Snow on Mars?!? It seems that Mars, too, enjoys the quiet sweetness of snowfall! 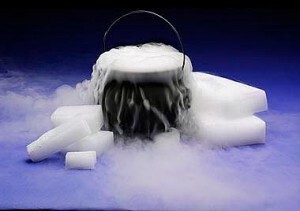 If you enjoy carbon dioxide snow (also known as dry ice, or the awesome stuff you can put in a cauldron to make it look cool on Halloween) then Mars may be the place for you! ASTEROID NAMING CONTEST!!! NASA is about to send a probe to an asteroid that’s currently called (101955) 1999 RQ36. 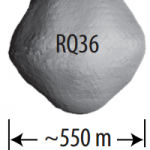 This asteroid is ashamed of its name, feeling that it’s overly-technical and doesn’t reflect its solid personality. Therefore it has requested a new “Rock Star Name”. If you think of the best name, you’ll be a part of NASA history. That would rock. 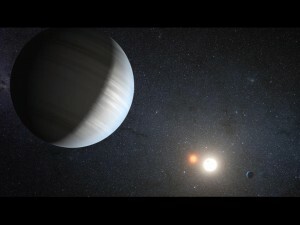 NASA’s Kepler mission uses a high powered telescope to seek out potentially habitable planets beyond our solar system, and it’s just found multiple planets that orbit a binary star system, which means that these planets orbit TWO SUNS! Brilliant! 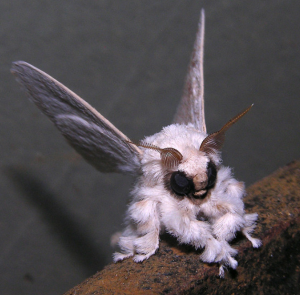 Finally, this Venezuelan Poodle Moth is adorable. I’d adopt one if I could and hold a naming contest.